U.S. Service members who were kept on duty past their original discharge following the Sept. 11 terrorist attacks have until Oct. 21 to claim their retroactive pay. The following is an announcement from the American Legion national organization. The deadline for eligible service members, veterans and their beneficiaries to apply for Retroactive Stop Loss Special Pay (RSLSP) has been extended to Oct. 21 allowing those eligible more time to apply for the benefits they’ve earned under the program guidelines. The deadline extension is included in Continuing Resolution H.R. 1473, signed by President Obama April 15, providing funding for federal government operations through Oct. 21, 2011. 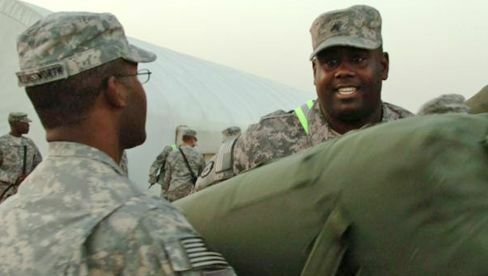 The RSLSP was established to compensate for the hardships military members encountered when their service was involuntarily extended under Stop Loss Authority between Sept. 11, 2001, and Sept. 30, 2009. Eligible members or their beneficiaries may submit a claim to their respective military service in order to receive the benefit of $500 for each full or partial month served in a top-loss status. When RSLSP began on Oct. 21, 2009, the services estimated 145,000 servicemembers, veterans and beneficiaries were eligible for this benefit. Because the majority of those eligible had separated from the military, the services have engaged in extensive and persistent outreach efforts over the past 18 months. Outreach efforts including direct mail and engaging military and veteran service organizations, social networks and media outlets, will continue through Oct. 21. To apply, or for more information on RSLSP, including submission requirements and service-specific links, click here. http://www.defense.gov/stoploss.